Learn in a quick and easy way how to program 8051 microcontrollers using many practical examples that we will provide for you. 8051 microcontrollers are very popular and commonly used nowadays. In addition to Intel, many other renowned companies, such as Philips, Siemens, etc. are manufacturing this model. 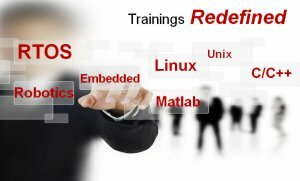 Technopundits Business Solutions offer Certification training in Introduction to Microcontrollers at an affordable cost.